A Peltier Cooler or Peltier Heat Pump is a type of refrigerator that has no moving parts and is capable of transferring heat to either side of itself. Peltier Coolers are advantageous as they are solid state devices and only require a DC electrical current in order to cool an object or area. 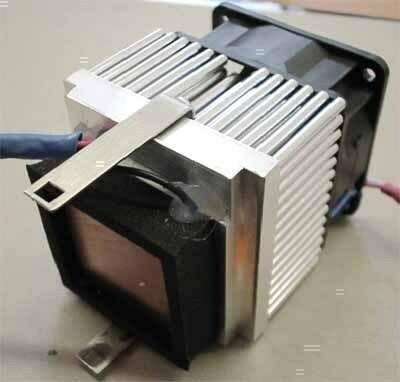 A Peltier Cooler is the opposite of a thermoelectric generator as it converts electricity into a temperature difference, rather than a temperature difference into electricity. 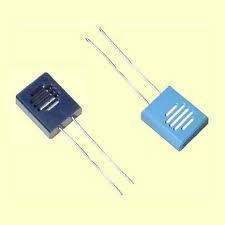 Peltier Coolers are used for various purposes and can be seen in a number of applications. Peltier Coolers rely on a phenomenon known as the Peltier Effect, which states that if electricity is passed between the junction of two different types of metal, heat will flow from the upper junction to the lower junction. This is because the Peltier Cooler tries to find a natural equilibrium by absorbing the extra electrons from the electrical current on one side and releasing them on the other side. However, in order to reverse the direction in which the heat (electrons) is moving, the user simply has to switch the current’s polarity. Peltier Coolers have an array of uses. 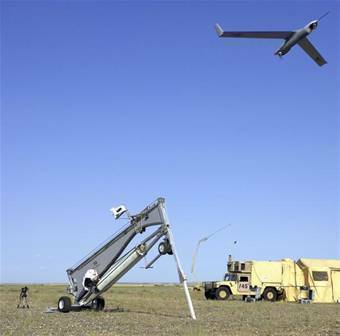 They are used in satellites and other aerospace technology in order to transfer the heat absorbed from direct sunlight to the shaded side of the machine. Heat is irradiated from the device in space. Likewise, Peltier Coolers can be used here on Earth to cool computer equipment without running a loud fan and can be used in portable USB beverage coolers/heaters to keep drinks either cold or hot. Peltier Coolers can also be used in dehumidifiers in order to absorb moisture from the air. Peltier Coolers have several important advantages. They have no moving parts and are extremely lightweight and compact. Peltier Coolers can also be either hot or cold, something that compressed-vapor refrigerators are not capable of. Peltier Coolers can be incorporated into other devices or used by themselves and can rapidly switch between hot and cold temperatures. Although Peltier Coolers can be advantageous, they also have several disadvantages. For example, Peltier Coolers are usually small and are not generally used for large scale refrigeration. Peltier Coolers also require quite a bit of electricity to function properly and can therefore become rather expensive in the long run. 262 queries in 0.512 seconds.